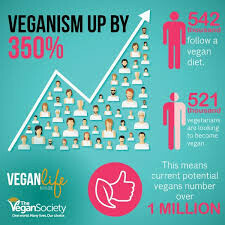 It's official - the Vegan Society and Vegan Life magazine commissioned an Ipsos Mori poll and discovered that there's been a staggering 360% rise of vegans in the UK during the past decade. Conservative estimates are at just over half a million. Added to this, over a quarter of the UK's 2 million veggies are moving or wanting to move more in that direction... it is no coincidence that big business is getting on the case rapidly. Just the past couple of days has seen Tesco, Sainsbury's and Quorn rise to the challenge with new vegan ranges. It's a similar picture everywhere. And while we're all about the positive, expect to see the odd flurry of scare stories about 'dangerous', 'faddy' diets in certain sectors of the media - there is bound to be a backlash because the meat and dairy industry is big business too. Just keep calm and eat tofu! Better still, remind those around you that a well-balanced vegan diet is vindicated by the World Health Organisation, the British Medical Association, the American Dietetic Association and many such luminaries - including one of the UK's top cancer scientists, Prof Djamgoz from Imperial College, London. All of these are known for basing their statements on rigorous, peer-reviewed and impartial science that isn't paid for by big meaty/dairy or big pharma! 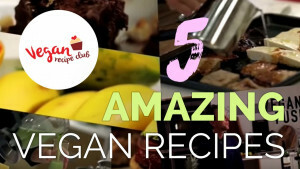 Click on the link here for our gorgeous Incredible Vegan Health Guide - it's an overview of all the science and is accessible, positive and inspiring! You can download the pdf for free or buy a hard copy.